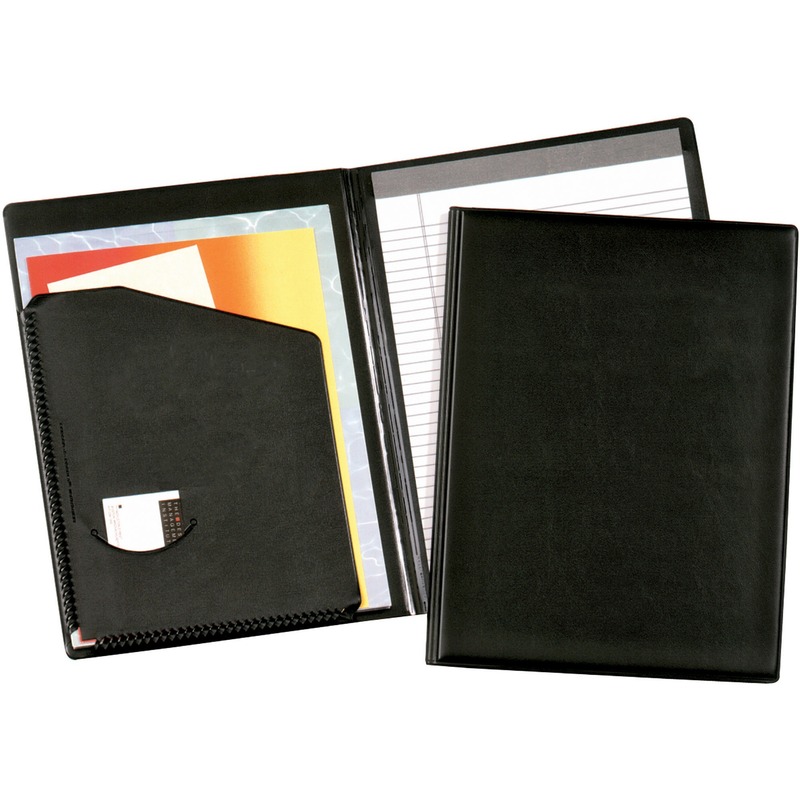 Executive full-size portfolio is the perfect professional accessory for interviews and important meetings. Whether you're preparing a quotation for your customer or taking notes at a meeting, this portfolio makes the perfect travel companion. The letter-size pad holder features soft-touch back and front covers, a full-width storage pocket for multiple documents, and a pocket for business/credit cards. Letter-size writing pad is included. 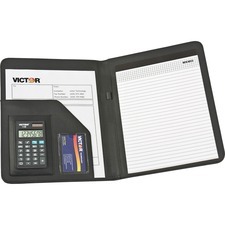 The portfolio also includes an 8-digit calculator with a large, easy-to-read LCD; rubber keys; automatic constants; percent; square root; three-key independent memory; and hybrid power (solar/battery backup).